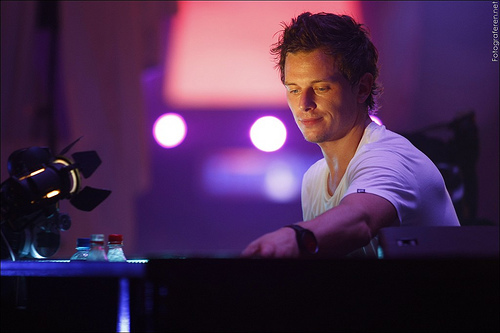 “Keep On Believing” made for one of the more memorable tracks from Fedde Le Grand‘s 2016 album Something Real. A handful of producers clearly shared this sentiment, too, as the DJ has released a remix pack consisting of flips of the song from Lost Causes, Zilverstep and Raiden. Lost Causes injects some future house warmth into the track by replacing its pounding synths with a frequency-modulated bass line, while Zilverstep’s remix is stylistically similar to its source material but incorporates vibrant saxophone into its arrangement. Finally, Raiden’s take features an unexpected contrast between subdued melodies and explosive synth crescendos fit for the main stage. Overall, Lost Causes, Zilverstep and Raiden’s reworks of Fedde Le Grand‘s “Something Real” serve as enjoyable iterations of its infectious top line and chord progression. With any luck, the remix pack will spur additional producers to try their hand at flipping the track over the course of the festival season. Check out the three remixes below and sound off in the comments section letting us know which one is your favorite.